Which is the hottest Canary Island? Which Canary Island has the best weather in January? Last year I stayed in December in Gran Canaria, departing before Christmas to celebrate New Year in Liguria, Italy. There were 30 degrees in Puerto Rico area: stay in the beach was amazing! In general, the Canary Islands have a mild climate all year but not all the 7 islands are so warm. For those who want to spend the last day of the year in the beach, sunbathing, I would exclude, for climatic reasons, Fuerteventura and Lanzarote. Better stay in summer-spring. Which is the Best Canary Island to visit during Christmas & New Year? Which Canary Island has the best weather in January? I'm talking about classic sea ​​life because to visit the islands, do a tour, it's okay any season. Convenience: Easy to reach by frequent low cost air flights company like Ryanair. Fair prices. The best area to spend New Year in Gran Canaria is in the southwestern countries of the island for the simple reason that, due to its geography, this area remains protected by winds. For this reason it is warmer, the sun burns, is not mitigated by the wind. I do not say it because I have an apartment for rent in Gran Canaria: I have no reason to promote it in winter because is fully booked, the period is very required. 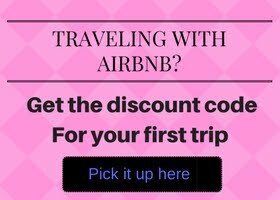 To try what I say is just go to sites like booking.com and see the availability of a hotel or apartment for Christmas in the Puerto Rico, Arguineguin or Playa de Amadores area, and note that there are actually less accommodation available than other part of the Island. Here I selected the best accommodations for you to spend a New Year's Eve on the beach. ⇨ ADULTS ONLY APARTMENTS: Only for adults guests (no children) in Puerto Rico near the harbor. The New Year's Eve of Playa del Inglés and Maspalomas is a good alternative if you do not find an accommodation in the southwest area of Gran Canaria. The beach is long but often windy and colder than Puerto Rico, Amadores and Puerto de Mogan. If you stay in Maspalomas you can get to best beaches for winter holiday by bus or car: only 10-15 km away. The beach with a large and convenient free parking is Playa de Amadores. TO KNOW: I would point out that it is still difficult to find cheap apartments the last second in New Year's Eve because half Europe is wintering here. Italians prefer hotels but British, Norwegian, Finnish... prefer to stay in the apartments and they organize holidays with a wide advance. ⇨ 1. Cheap apartments in the center near the beach (Playa la Troya). Ideal for young people looking for nightlife. ⇨ 2. Hotel 300 meters from the beach (playa las Vistas) with parking and wifi included. Choice of options with breakfast, half or full board. Rooms / facilities also equipped for disabled guests. Where is best to go on holiday in January? I've been renting my house for the last three years in Gran Canaria: tourists booking my flat in advance (even 1 year in advance). 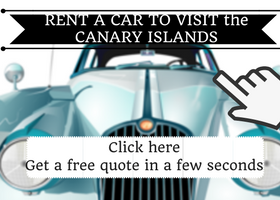 I'm always available to help my readers look for accommodation in Canary Islands, but, I noticed in the last years, it is getting harder to find something available in Tenerife and Gran Canaria in winter. I think the reason is the insecurity to travel to Egypt: another destination for winter holidays. ⇨ 1. Spacious family apartments with heated pool in Los Cristianos just a few minutes walk from the beach and the center. Maximum 6 beds. Ideal for large families or groups of friends. ⇨ 2. Residence Apartments with Pool in Los Cristianos with Parking and Wifi Included. Quiet location but close to downtown and the beach. Ideal for those who do not want to rent a car during the holiday. Sheltered and warm area in winter. Which is the hottest Canary Island? If you've already seen Gran Canaria, or looking for an island with more footprint in the nightlife, the southeast of Tenerife is the area for you. Which is the Best Tenerife area during Christmas & New Year? The most popular beach to sunbath and swimming is Las Vistas and the nearby playa de Los Cristianos. I advice you to stay not far from this area: see map. If you find the article useful, share it with your friends by clicking one of the social buttons. Thanks!